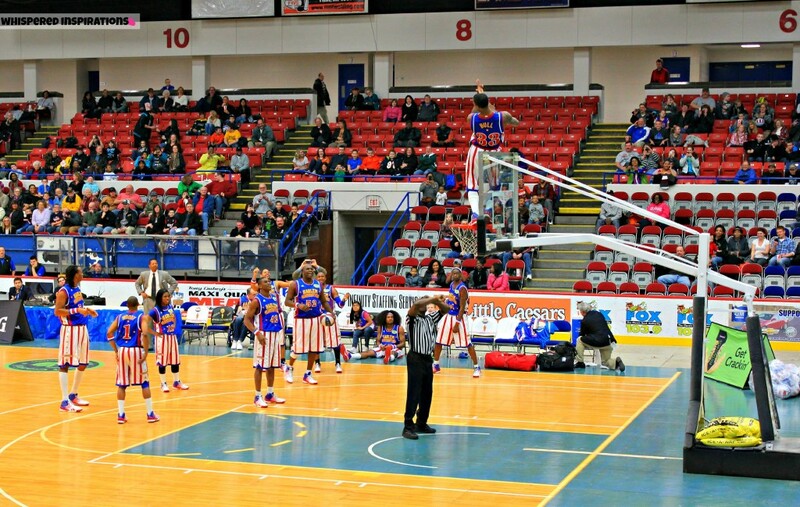 It’s the Harlem Globetrotters in Flint, Michigan! 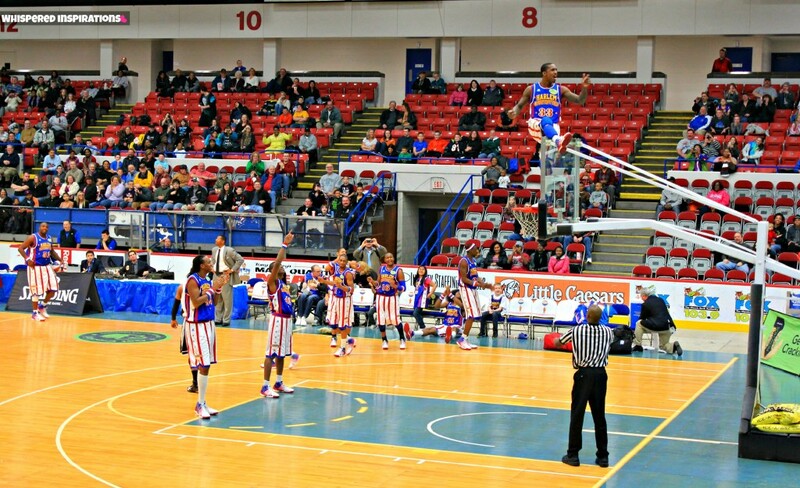 We had the opportunity to be able to see the amazing Harlem Globetrotters in Michigan recently and they blew us away! They are making their way around North America and headed your way–check out dates, here. This was our first time EVER watching them and they were absolutely superb! Hubby, the girls, my dad and I packed up and headed over to Flint and we were super excited the entire drive there. 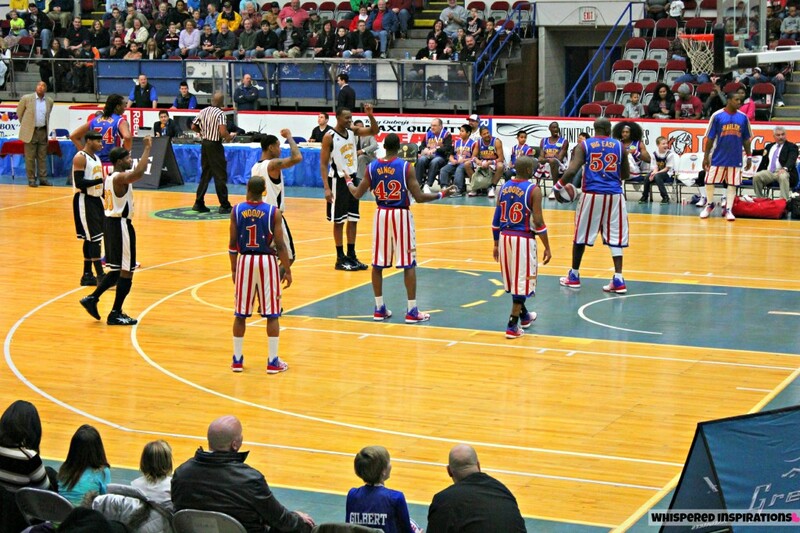 My father had only ever seen the Globetrotters on TV and he was very excited to be able to go. He even told me he had seen them in the days of black and white on the TV screen and they were amazing at the tricks and skills! When we arrived, Globie came out and greeted the awaiting crowd, there were dancers and just a huge build up of excitement! In a cloud of SMOKE! Gabby stood up from her seat and couldn’t contain her excitement. 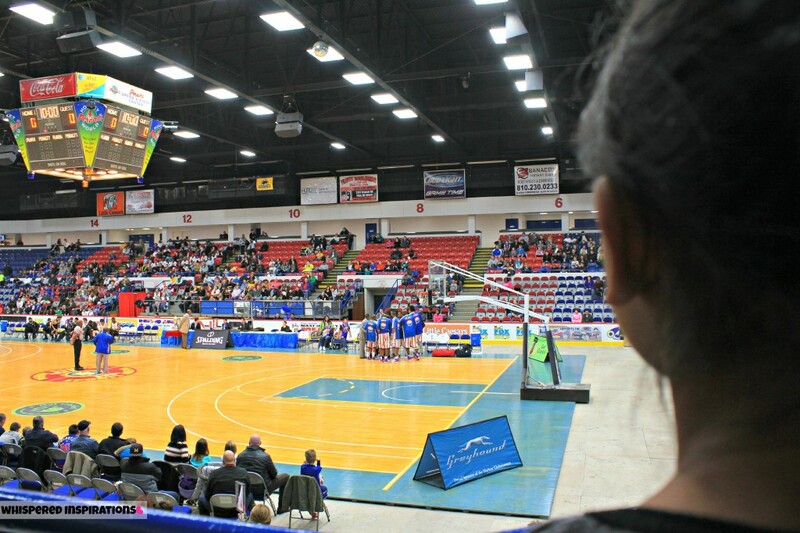 She watched attentively while they prepared and introduced everyone and The Globetrotters did dances, played tricks and warmed up the crowd before they started the game. And Let the Game Begin! The game was full of tricks, spoofs, humor and the opposing team tried their best! I especially loved the tricks they would play on the opposing team, either using them to make their own plays or taking control of the ball in a genius way. I loved watching TNT run underneath the legs of Big Easy and pass the ball for a dunk. The other team didn’t have a chance! The way they engaged the crowd was spectacular and they really connected with the crowd and you had your eyes on them the entire time. Mimi, our little toddler, sat in our laps in awe and kept screaming, “I love basketball!” and she was intrigued, excited and entertained. We all were and had our eyes glued to the court. I think the thing we did most was laugh. 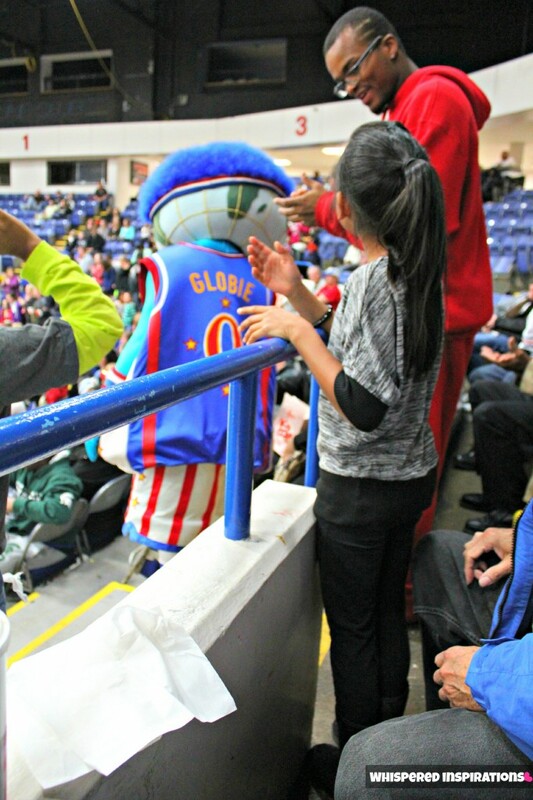 Our favorite part was Globie’s brother, Big G! I wish I would have filmed him because he was hilarious. I can’t remember the last time I laughed that hard. We were all in tears! Especially when Big G would fall right flat on his face, the sound alone was hysterical. Also, watching him flip upside down and doing a series of crazy moves was hilarious. If you ever get a chance, look him on YouTube. Our other favorite part was when Bull magically jumped to the top of the net, we were just AMAZED! It was truly something to see everyone’s reaction when we all saw him up there and the referee trying to talk him down! Globie made his way through the crowd and Gabby got so excited that she got up to greet him! He was with one of the dancers and he was very friendly to the kids! 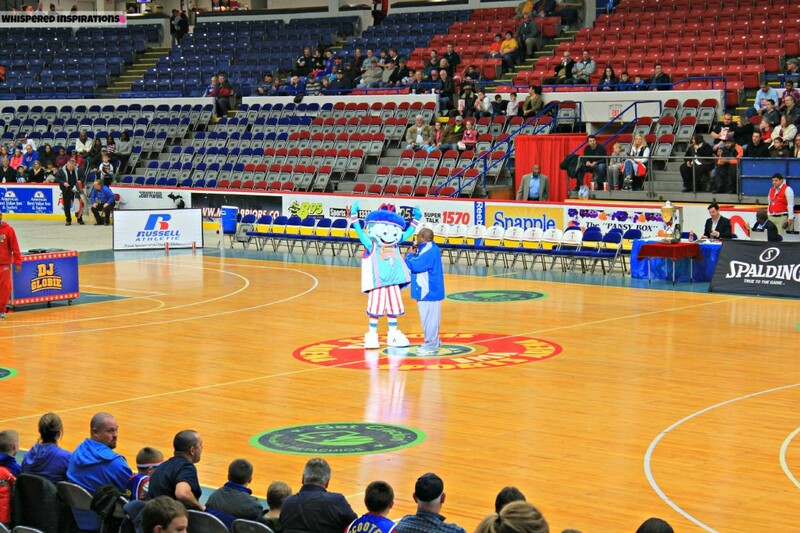 The kids were invited to the court to join in and help sing YMCA with the Harlem Globetrotters and with the crowd. I love how connected and engaged that the Globetrotters and the whole team is towards the kids and adults alike! Seeing the dunks, free throws and three-pointers was amazing. Both teams did a spectacular job not only on the court but, in entertaining their fans as well. I am very happy to have had the opportunity to see The Harlem Globetrotters and was very blessed indeed to be a Harlem Globetrotter Ambassador. We made a night of memories that will live with us forever, it was a night full of laughs, wonder and awe! We ended the night with a late dinner and we discussed BASKETBALL of course and all the highlights of the game! I was so grateful to have been able to bring my dad who has only dreamed of seeing The Globetrotters and happy that my girls and Hubby were able to take part in an amazing family night! 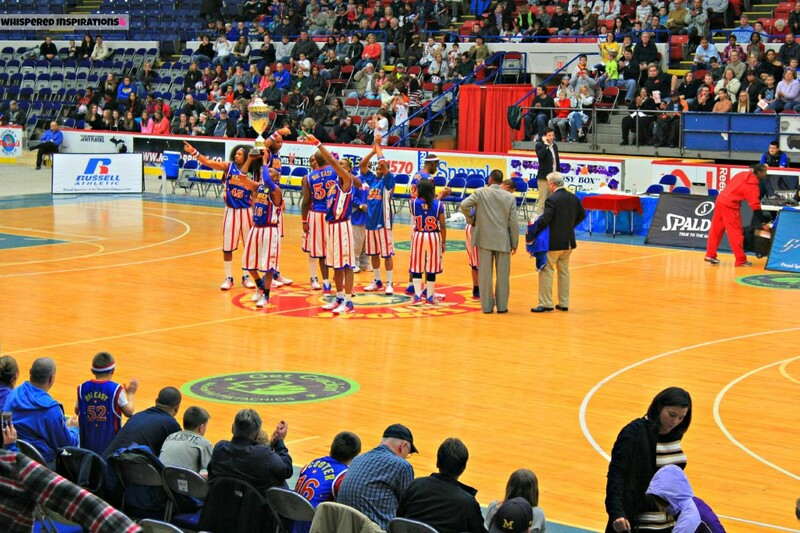 The Harlem Globetrotters sure brings families together and there are plenty of shows still headed YOUR way! Both in the US and Canada! 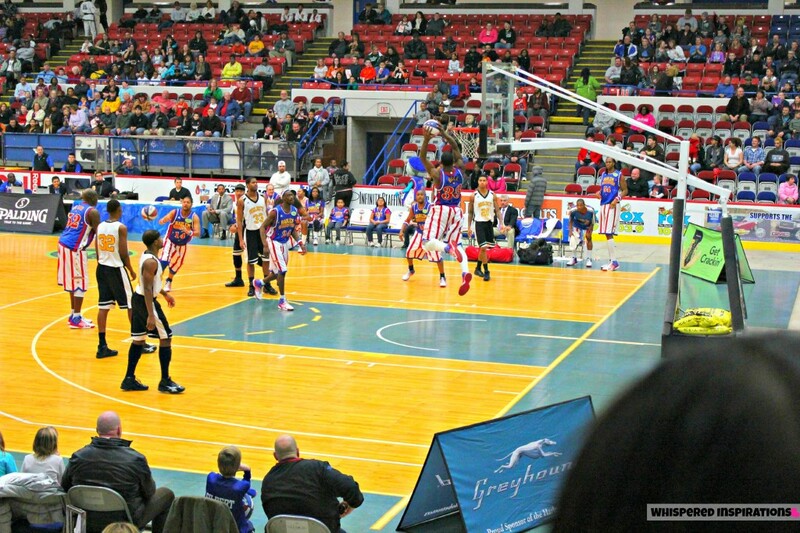 Would you go to a Harlem Globetrotters game? Previous Post: « Kingdom Strollers: Functionality. Comfort and Saving Money… In Style! The City Elite Double Stroller Rocks! So awesome! What a great experience. Love your photos! Yes! We would go to a game/show if we had the opportunity. It looks and sounds like a complete blast. Looks like fun! When my son is older I think we would for sure take him if they ever come to Toronto. My recent post Everything Mom and Baby joins Little Eco Footprint! Come see what it's all about and what I'll be doing. Very Cool! I've always to see them! My recent post ABC – E is for Elephant! Wow!! How fun! I've always wanted to see them!